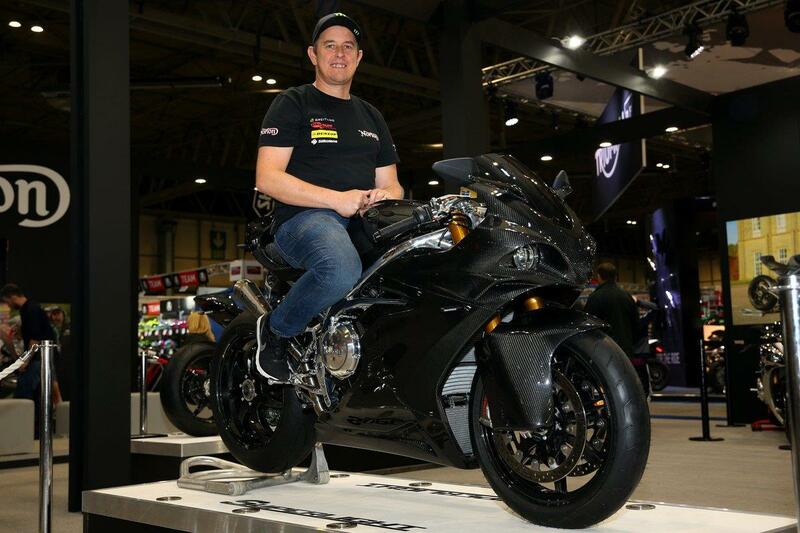 John McGuinness and Norton will set their sights on victory in the Lightweight class at the 2019 Isle of Man TT races after the unveiling of the British firm’s new superlight model. The 650cc Superlight is said to produce 105bhp while weighing in at 158kg, meaning on paper it should be perfect for the TT’s Lightweight category, which was won by Michael Dunlop on a Paton this year. 2019 will see McGuinness return to the TT for the first time since breaking his leg at the 2017 North West 200. The 23-time mountain course winner was only fit enough to partake in a number of parade laps at this year’s event, but went on to win at the Classic TT and has since made his superbike return in Macau. “I’m blown away with the Superlight Norton,” McGuinness said. “It’s a class I’ve never raced in so I’m really excited and want to be winning. It’s another opportunity for a win for me and it’s another manufacturer in the class. Norton CEO Stuart Garner added: “The Superlight is pretty much a balls-out race bike that we’ve wanted to produce. It’s been designed to fit into the Lightweight category – it’s a 650cc homologated road bike so we’re compliant with all the regulations and we want to give John McGuinness another bike to run out on at the TT.